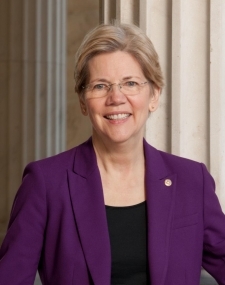 Senator Elizabeth Warren has been an outspoken critic of the plan, prompting the President to call her “wrong” on the trade issue. The Obama administration and business interests have claimed the trade pact would benefit the American economy and the middle class. But opponents including labor unions say the TPP and the fast-tracking that it authorizes would help the rich get richer—at the expense of U.S. workers. If the TPP is approved, Congress could not make any changes to any future trade deal – only accept or reject the proposal in its entirety. The U.S. Business Coalition supports the TPP. It claims that “TPP negotiations offer an important opportunity for American companies and workers to level the playing field and open access to some of the world’s fastest growing markets.” The business group notes that in 2013, two-way trade in goods between the 11 Asia-Pacific countries negotiating TPP and the United States exceeded $1.5 trillion. That means that legislation designed to address climate change, curb fossil fuel expansion and reduce air pollution could all be subject to attack by corporations as a result of TPP. So could regulation of food labeling, workers rights and human rights. A statement from 350.org states, “The movement we are building locally, nationally and globally to move beyond fossil fuels and create a safe climate future is growing by the day and the fossil fuel industry is getting scared of the uncertainty ahead. The TPP is a symptom of this fear,” the environmental group concludes, calling the TPP a massive bid to overthrow restrictions on corporate polluters.